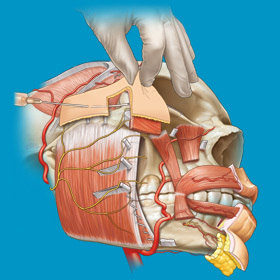 2D animation sequence narrating the layers of the Midface, and injection technique into the Prezygomatic space. 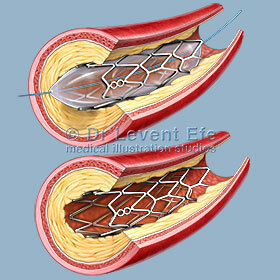 Interactive animation narrating insertion of the deflated angioplasty balloon catheter, balloon inflation and stent lodgement for minimally invasive treatment of arterial blockage. 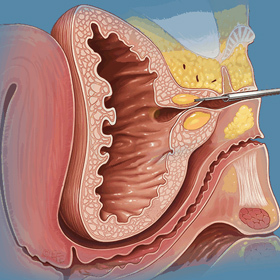 Urethral bulking is a minimally invasive technique for treating Stress Urinary Incontinence (SUI). 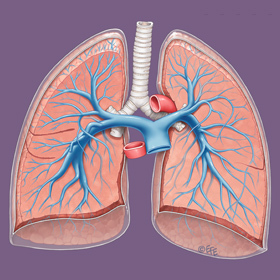 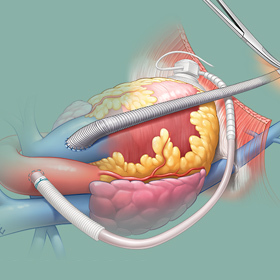 This interactive sequence narrates the procedure with additional pop-up content and links for informing patients. 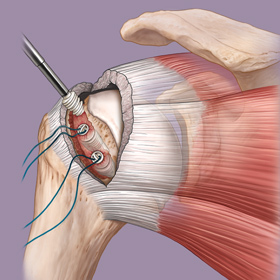 Animated interactive sequence depicting Mr Greg Hoy's Rotator Cuff Repair suturing technique.